Quintessential Manhattan Brownstone Apartments on the Upper East Side, New York City. Extended-Stay Hotel, Turn-Key Furnished Short Term Rental Apartments, Short-term Housing, Serviced Apartments, Extended-Stay, Temporary & Corporate Housing Accommodations on the Upper East Side of New York City, N.Y. Housed within a quintessential NYC brownstone townhouse, 1871 House offers one-of-a kind extended-stay suite apartments for those seeking the privacy and comforts of home while away. A cross between hotel rooms and apartments, the furnished apartments provide well-appointed Upper East Side accommodations with the look and feel of a sophisticated English bed and breakfast albeit far more affordable. Although each of our apartments offers different experiences, they all generally feature beautifully proportioned, light-filled rooms, high ceilings, beautiful antiques, hardwood floors covered with exquisite Oriental rugs, fully equipped kitchens, charmingly dressed beds, snug sitting areas facing grand fireplaces (non-working), and flat-screen televisions. 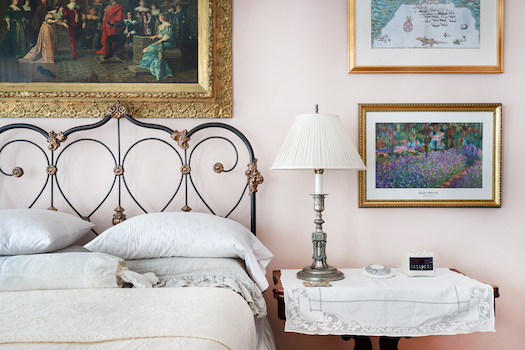 Details such as the decorative ironwork and ornate moldings convey an Old World charm – as do our classic beds. Design elements reminiscent of Shabby Chic and Ralph Lauren give the apartments a cozy chic ambiance. The private, intimate, fully furnished apartments of our townhouse offer a comfortable temporary home for traveling professionals, performing artists, long-stay medical visitors, corporate relocations, or tourists on an extended holiday. 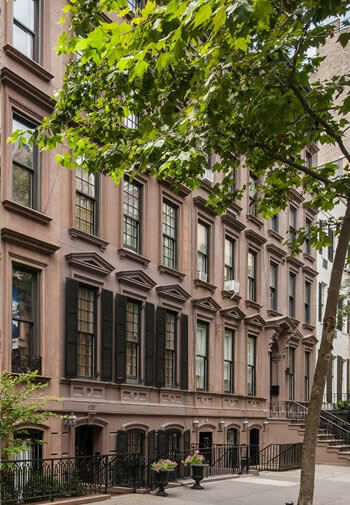 Serene privacy and unmatched convenience will immediately endear you to 1871 House’s lovely side block of townhouses and the Upper East Side neighborhood at large. 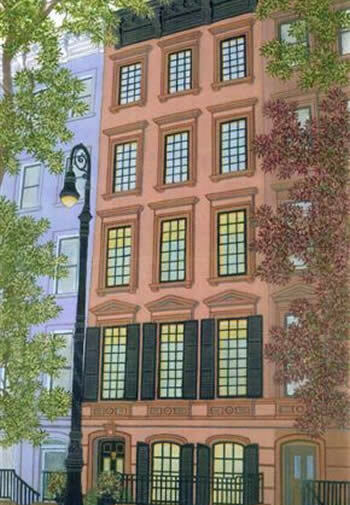 East 62nd Street between Park Avenue and Lexington Avenue is a quiet, tree-lined residential enclave for some of New York’s most prestigious addresses. 1871 House is located in the Epicenter of Retail, Business, and Culture. Centrally located within the heart of Manhattan’s Upper East Side Historic District and with close proximity to bustling Midtown Manhattan, 1871 House’s neighborhood is situated within the boundaries of Lenox Hill, and offers a bountiful selection of restaurants and cafes as well as easy access to public transportation. Madison Avenue’s luxury retail shops, Fifth Avenue, and Central Park are just a stone’s throw away, as are some of the City’s most fabulous and world-renowned cultural and performing arts institutions including the Frick, MoMA and The Metropolitan Museum of Art, Carnegie Hall, and the Lincoln Center for Performing Arts. Broadway and Times Square are also minutes away by subway or taxi. 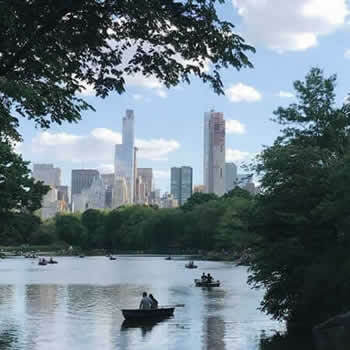 The neighborhood has much else to offer, from some of the finest boutiques and restaurants in New York, to the fabulous Museum Mile, to the dream-row of all true shoppers – that stretch including Bloomingdale’s, Barneys, Bendel’s, and Bergdorf-Goodman. Other close attractions include Manhattan’s exclusive Decoration & Design Building (D&D building) and the Manhattan Art and Antiques Center, where architects, designers, and collectors from around the world travel for the concentration of design and home furnishings showrooms and galleries. For medical professionals and extended-stay medical visitors, there are many nearby hospitals within walking distance including Memorial Sloan Kettering, Manhattan Eye, Ear, and Throat, Lenox Hill Hospital, New York-Presbyterian Weill Cornell Medical Center and Hospital for Special Surgery. Nearby colleges include Marymount and Hunter College. Barnard and Columbia College of Columbia University are a 20 minute Uber or taxi ride away. For more detailed location information click here. The owners of 1871 House have created such a lovely respite away from the city and the cares of the world! I have previously stayed here and just stayed for over a month and felt so lucky that this haven could serve as my home base in New York. It is like staying in someone’s beautiful country home and you feel like a true guest! The owners and staff were incredibly generous with advice and tips and recommendations of every kind! I look forward to another visit and highly recommend this special place!